Organizations increasingly face the challenge of managing massive amounts of geospatial data. As the sheer volume and variety grows, the need for effective organization and distribution grows with it. ERDAS APOLLO is a comprehensive data management and delivery platform that enables users to quickly and efficiently catalog, manage, discover and delivery across desktop, mobile, and web applications. Stay in control through automated management of data sets – from GIS and CAD to aerial imagery and LiDAR surveys – all within a secure enterprise environment. 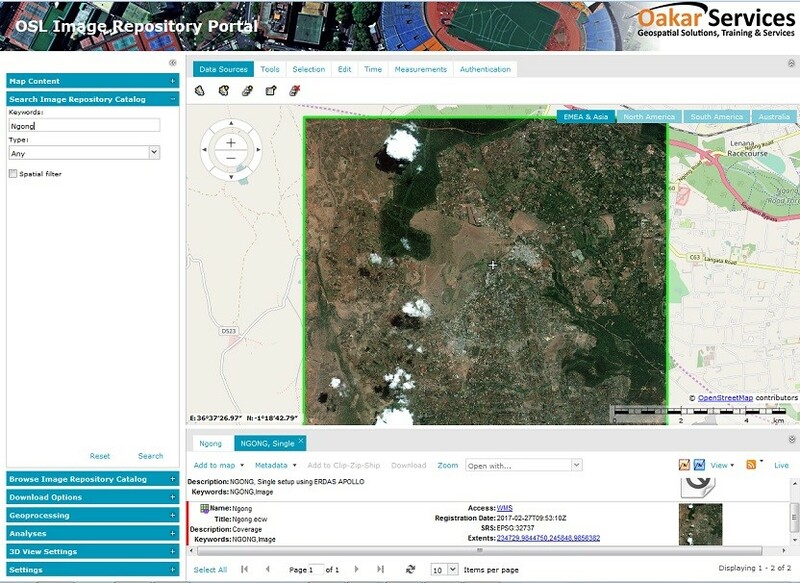 This powerful combination delivers a single, authoritative source that connects enterprise users to comprehensive spatial information. Fastest Server: Distribute massive amounts of imagery to thousands of users from a single server with enhanced performance. Catalog ALL of Your Data: Save time by centralizing all of your disparate data – including business documents – into one single, searchable catalog. Easier Customization: ERDAS APOLLO is an extensible platform allowing users to build custom applications on top of the framework through a set of RESTful APIs. These APIs let you customize and integrate ERDAS APOLLO for use in your solution. Publish Services: Create and publish complex geo-processing models that any user can configure and run using an OGC web processing service. Unprecedented Delivery Options: ERDAS APOLLO provides the greatest flexibility for geospatial data delivery, enabling dissemination into any client, on any device.